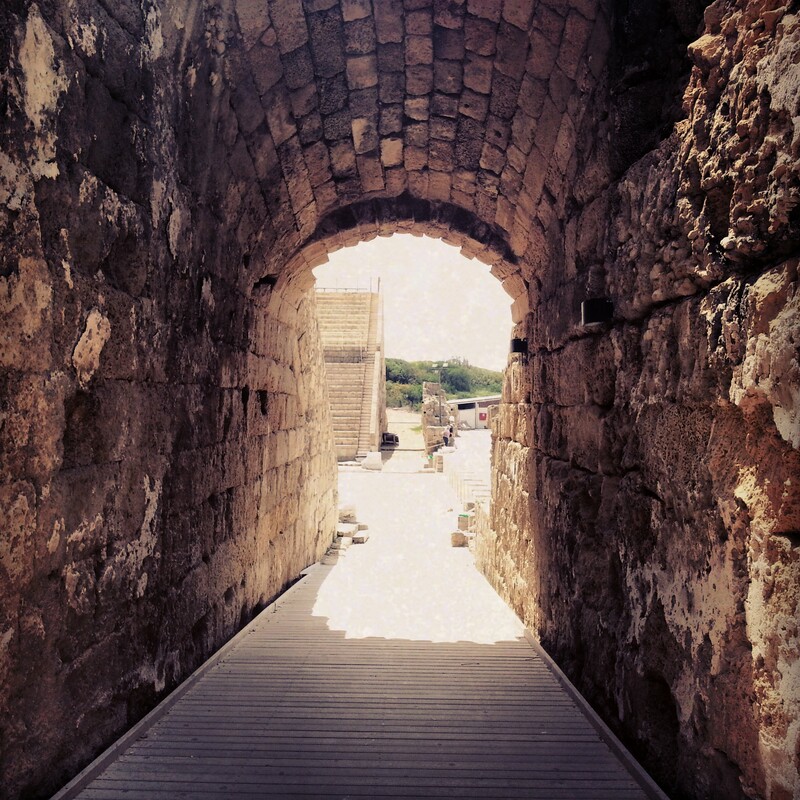 Caesarea is perhaps one of Israel’s most famous attractions. 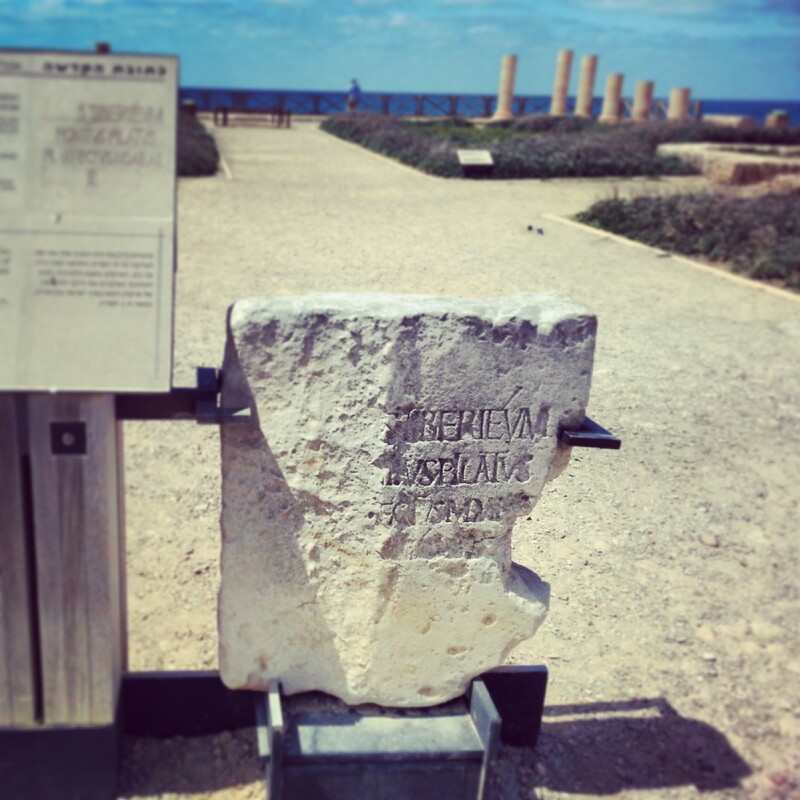 The remains of what was once the grandest port in the Roman empire, the Christian connections with stories of Peter and Paul, the Jewish associations of the deaths of the 10 martyrs, the beautiful coastal location. There are many reasons for its popularity and this helps explain the huge numbers of tourists who visit every year. 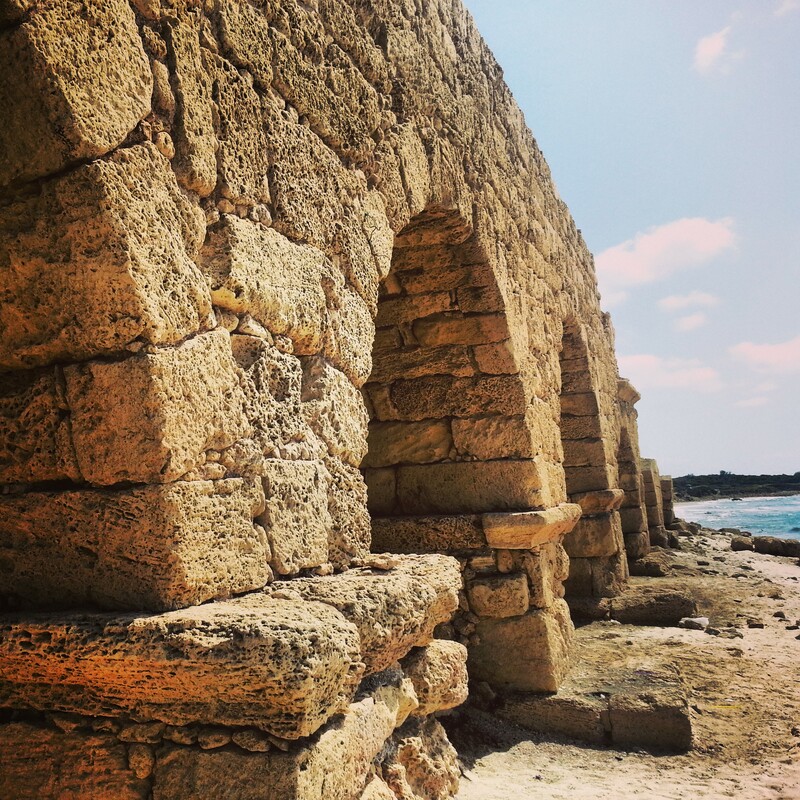 Unfortunately I missed our trip to Caesarea due to my glandular fever last year, and although I have managed to catch up every other trip from the 3 months I was bed-ridden, Caesarea was frustratingly impossible to arrange. Given the importance of the site, and the approaching exams, a friend from the course kindly agreed to accompany me on a visit as we explored the site together and he was able to recount to me the highlights of the trip that I had missed. We began our day north of Caesarea, at the national park of Nachal Taninim (Crocodiles’ River). 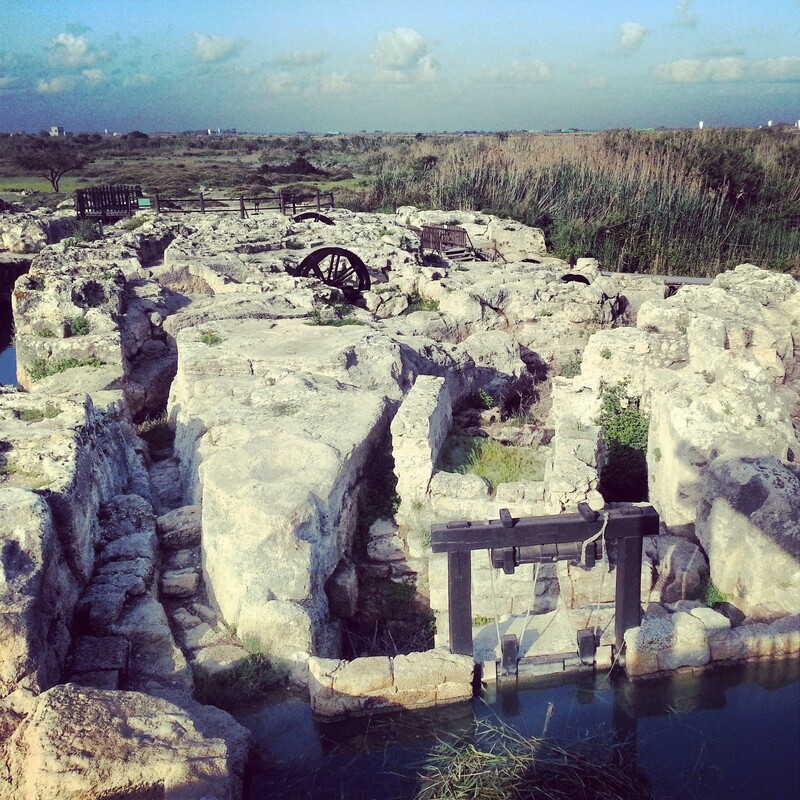 One of the most impressive things about the establishment of Caesarea is that there were no local water sources. 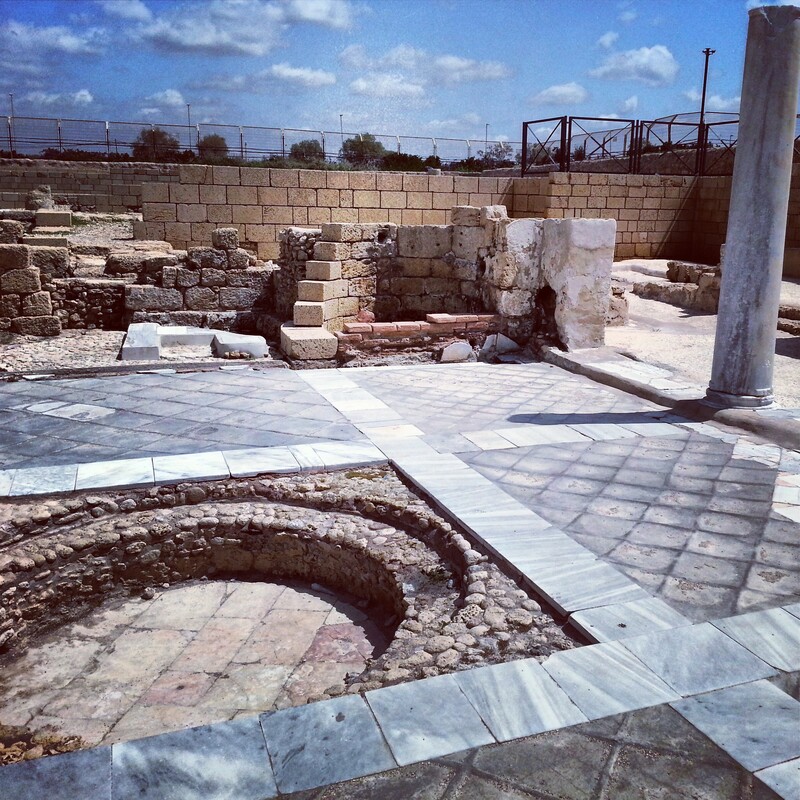 This eventually required the construction of impressive aqueducts bringing water to the city, one of which originated in the area of Nachal Taninim, although this was later, in the Byzantine period. We wandered around the aqueduct and noted the restored flour mills dating to the Byzantine and Ottoman periods. We then drove a short distance to the moshav of Beit Hanania. Right at the entrance of the moshav it is possible to see part of the grand aqueducts that led to Caesarea from the plentiful springs not far from Zichron Yaakov. There is evidence of three separate aqueducts; the dates of their construction and the exact springs from which they sourced water are subject to great dispute among archaeologists, still at this site there is a clear piece of evidence about the provenance of one of the aqueducts – an inscription dating it to the reign of Hadrian. 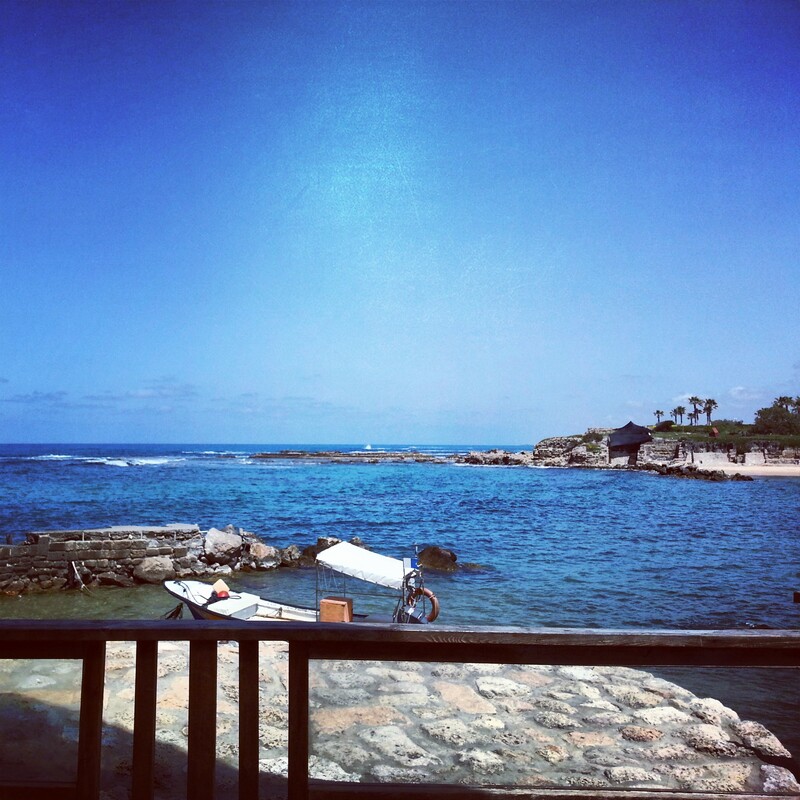 Finally, it was time to head to the Caesarea national park. After a most pleasant brunch by the remains of the port, and taking in an introductory film, it was time to begin our visit in earnest. It is not really possible to see the remains of Herod’s port today, but it really must have been quite impressive, based on the ruins that have been discovered underwater. Still, it is possible to explore many of the public and private buildings that were located around it. Herod realised that providing entertainment would give him an advantage in pulling in trade, and as we walked through the grand hippodrome which would have hosted violent chariot races (think Ben Hur). It was later converted into an ampitheatre, the location of even more violent gladiatorial contests. It is possible to see the entrance from which the gladiators would have come into the arena, in most cases to meet their end. Herod needed to look after himself, of course, and to this end built a grand palace stretching out to sea. 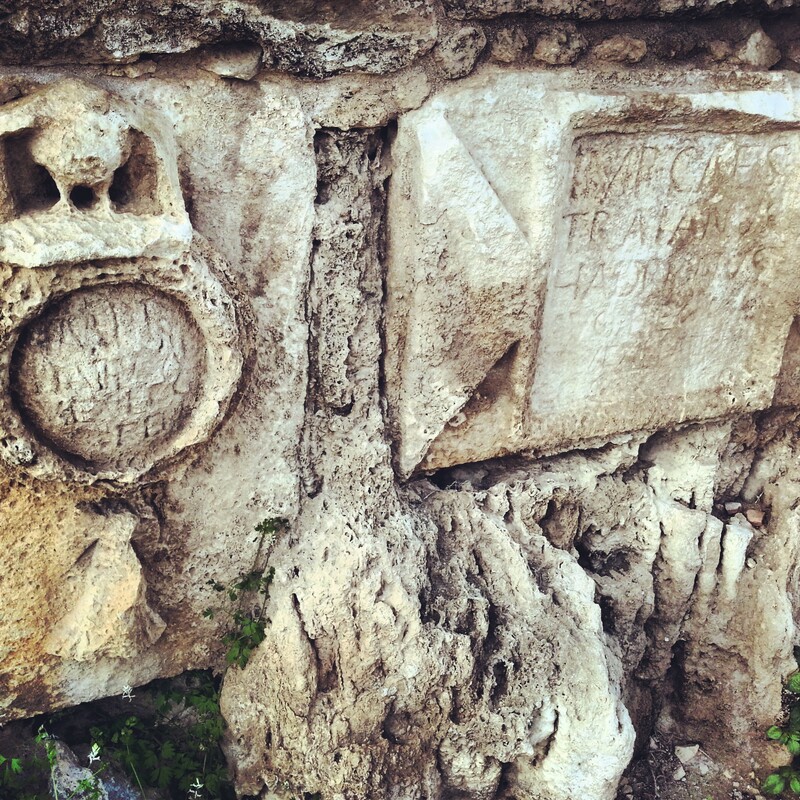 Here was discovered an inscription about the governor Pontius Pilate who would have inherited the palace; from here he would have travelled to Jerusalem to pass judgement on Jesus. In the northernmost part of the site is the famous theatre. Now largely reconstructed, it is seen as one of Israel’s most prestigious concert venues. I’m not sure what the ancient Romans would have made of Shlomo Artzi & Sarit Hadad, but there is something remarkable in the idea that 2000 years apart it is possible to sit with the same beautiful Mediterranean as a backdrop, enjoying the greatest entertainments in the region. After a quick stop in the grand bathhouse, resplendent with expensively imported marble, we concluded our visit in the area of the town that was settled by the Crusaders. Here, in the area of the port, was the imposing temple to Augustus that would have greeted all new arrivals. As the years passed it was converted into an impressive Byzantine church, and then later into a mosque once the Ummayids conquered the area. 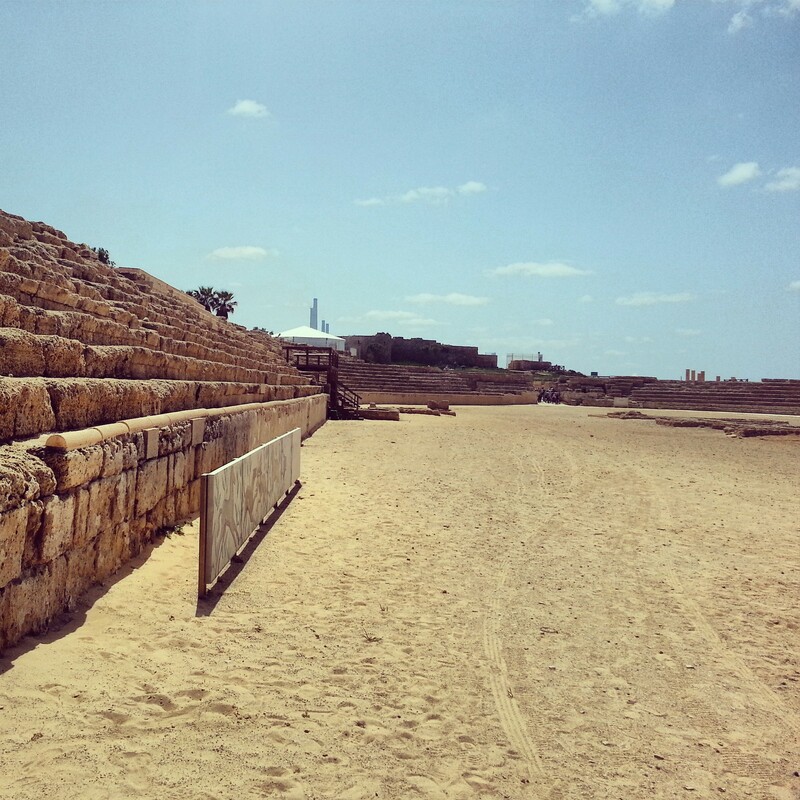 We left the national park, but our visit to Caesarea was not yet complete. 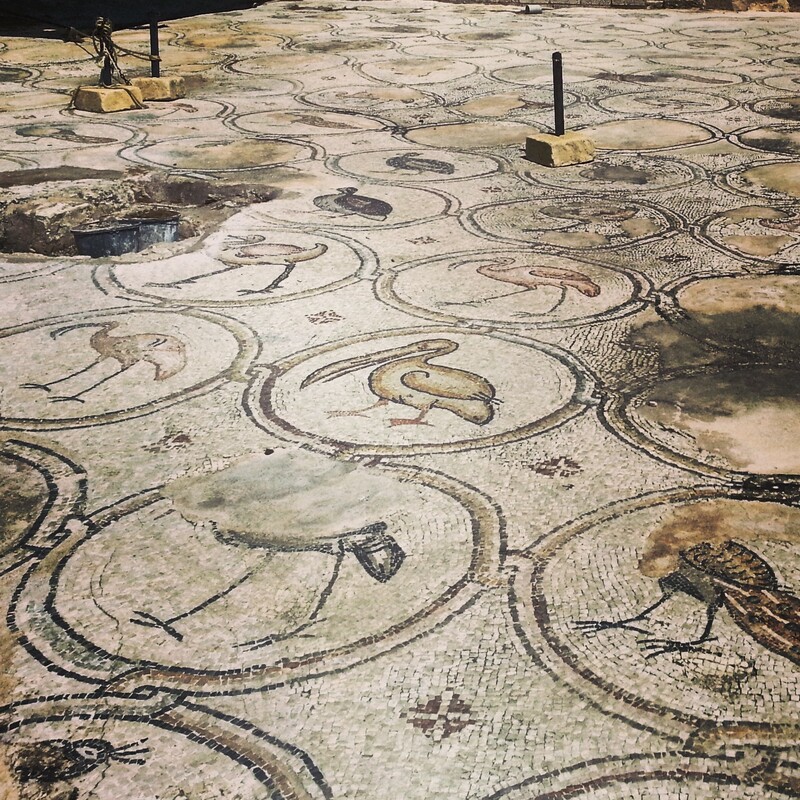 A short drive north lies the ‘birds mosaic’, ruins of an impressive Byzantine villa with a beautiful mosaic floor decorated with a plethora of different birds. Now part of a pretty little park, it is possible to wander down from the mosaic to the beach, where one is greeted with the final sections of the aqueducts that brought water to the city. A beautiful setting, and a lovely piece of symmetry with which to conclude the day.